(b) How many kg of Bengal gram is there in the shop? (c) The weight of which pair of items is less than 1000 kg? (d) The weight of which pair of items is equal to 1000 kg? (e) Which items are more than 1000 kg in weight? 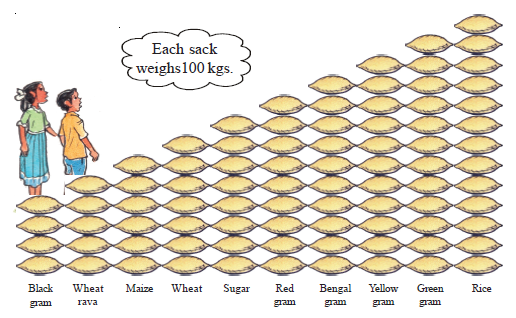 (f) What is the weight of wheat, maize and rice taken together?